I discovered Baccurelli, a Los Angeles-based jewelry designer, like I do most designers and artist these days, via Instagram. Their fashion manifesto (as you read above) and their collection of "eccentric, over-the-top, irreverent and playful" pieces speak to me. It was their "Valley of the Dolls" collection that pulled me in. Their pieces are minimalist, yet with strong designs in lucite brooches and necklaces (in both large and mini sizes), plus earrings and more. Everyone needs a statement piece or two; why not let that piece piece be a beautiful laser cut lady from real life, fiction, or even a particular decade, from Grace to Marilyn, Wednesday to Joni. 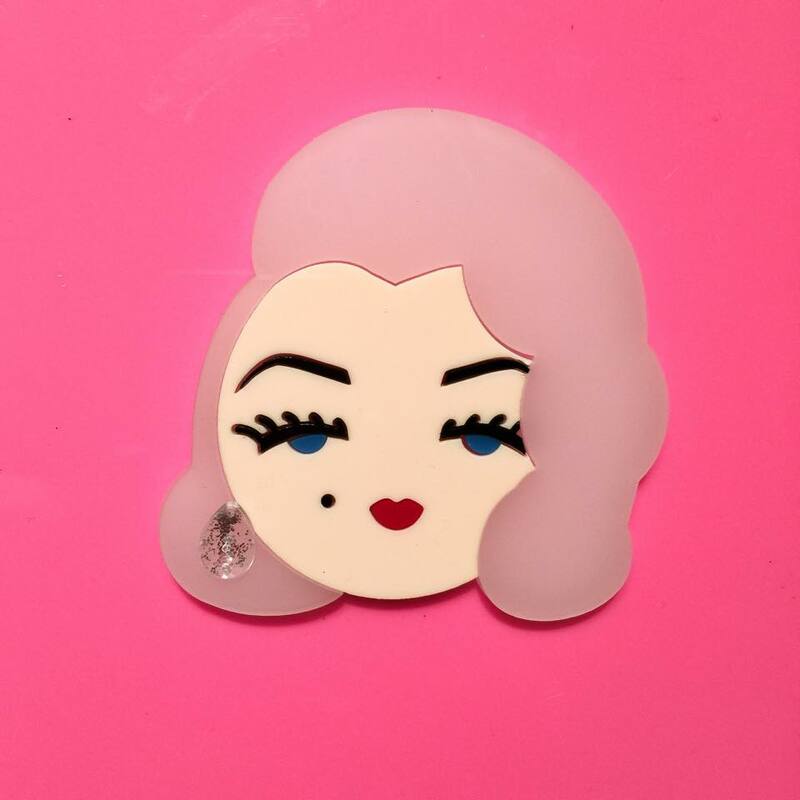 I have curated some of my favorite below, including a recent Gentlemen Prefer Blondes Marilyn in signature pink. If you like what you see, remember you can check out Baccurelli's website and Instagram linked above, or you can find them on Facebook, Etsy, or Vintage Pip, to see their whole range of themes and styles.